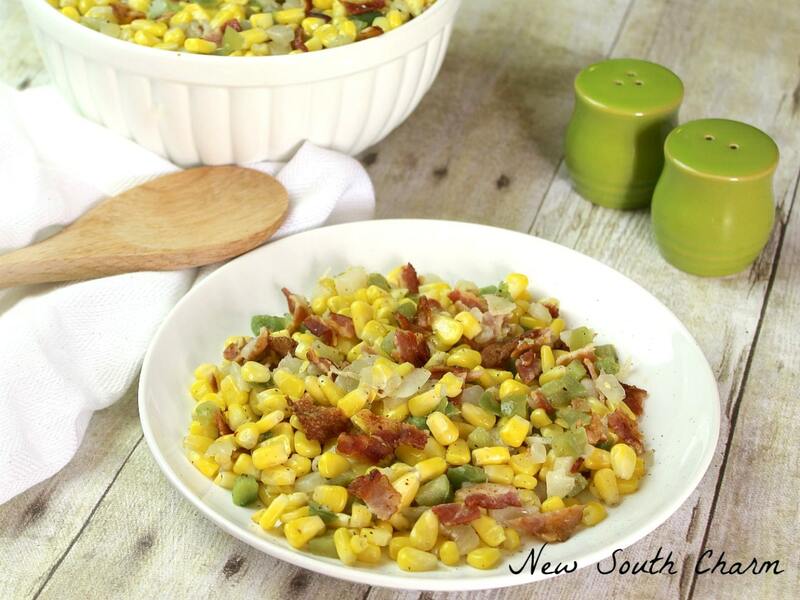 Southern Style Skillet Corn is one of our favorite recipes. Once you’re tried it you’ll make it again and again. It’s so good even the pickiest eaters will love it! Southern Style Skillet Corn is a recipe I’ve been making since my husband I married. I’ve memorized the recipe so I can’t tell you where I found it. We both like how sweet and creamy the corn is. It’s a great side dish for pork, bar-b-que, chicken wings, or well just about anything that you’d enjoy with corn on the cob. 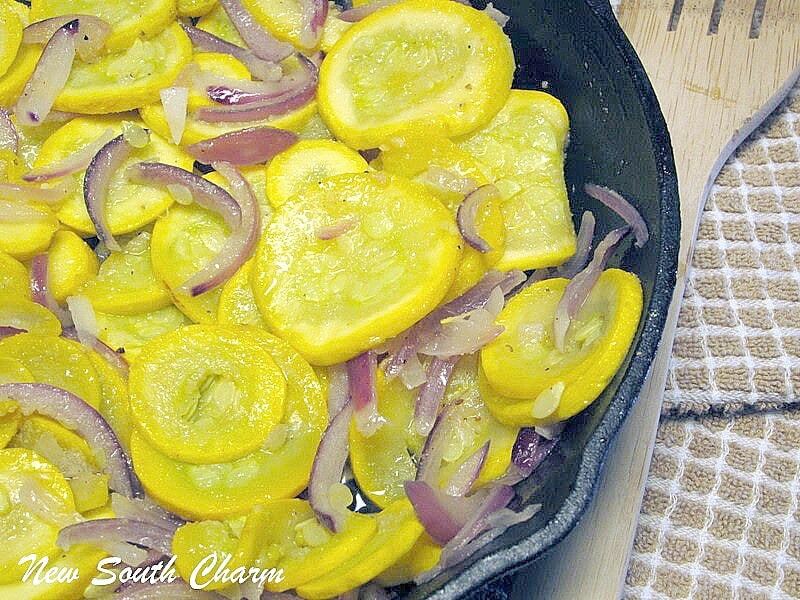 I haven’t shared a side dish with y’all in a few weeks so I thought that today I would share one of our favorites. 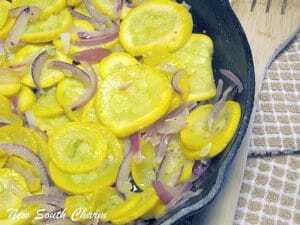 My hubby loves when I make this dish. In fact he has been known to request it. Of course I’m only too happy to make it. In the summer this recipe is great to make with fresh corn cut off the cob. When there isn’t fresh corn available I make it with frozen corn kernels. No need to defrost them first just drop them in the skillet still frozen. 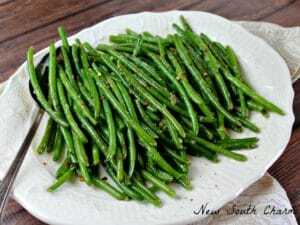 This is a really easy side dish. Begin by combining butter, water, sugar and corn over medium heat. Cover and simmer for fifteen minutes, stirring occasionally. While the corn is simmering; whisk together milk and flour in a small bowl until smooth. At the end of fifteen minutes turn heat to low and pour milk and flour mixture over the corn and stir constantly for five minutes. 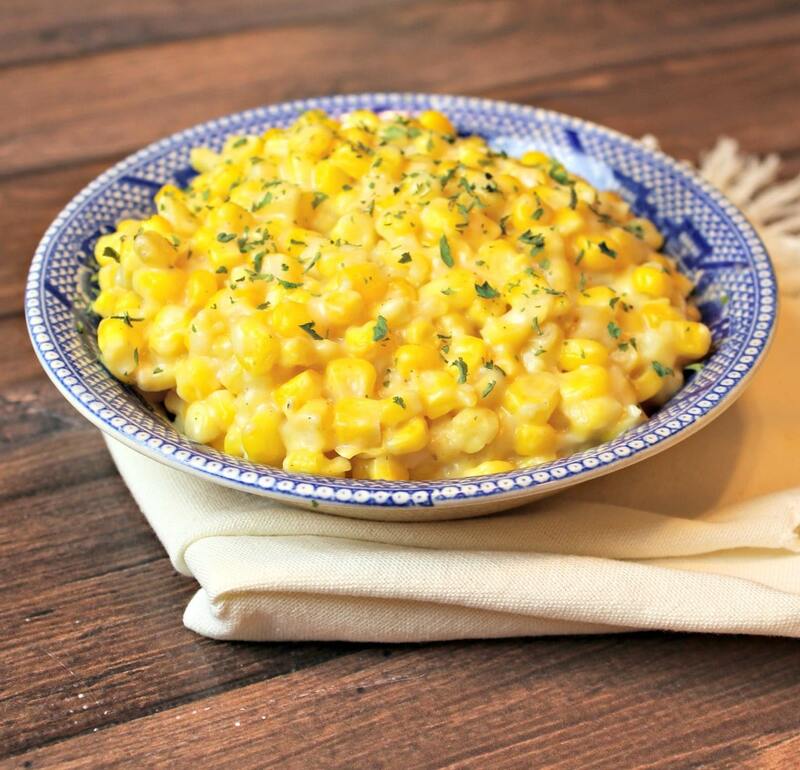 The corn should be creamy and slightly thickened. Oh my goodness, this looks SO delicious! 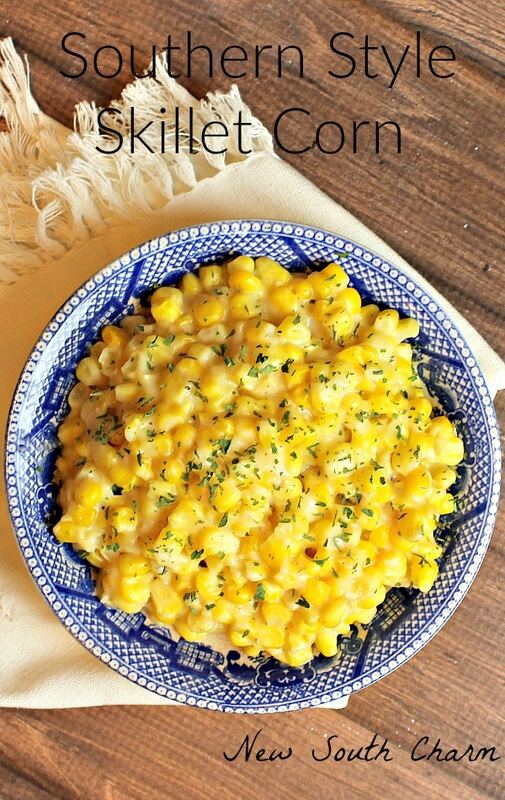 Corn is a staple everyone enjoys around here, so I can’t wait to try this! Wow I know this will be loved at my house! Pinned! 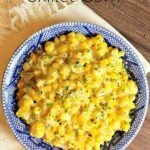 I totally LOVE sweet corn dishes, and this one looks wonderful! Can’t wait to try it! Thanks! 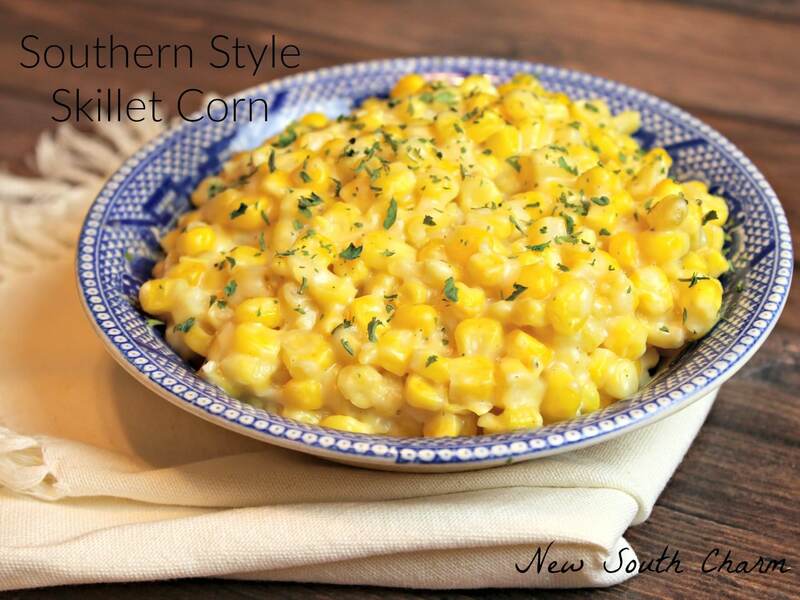 Your Southern Style Skillet Corn looks amazing! Hope you have a very special Valentine Day and thanks so much for sharing with Full Plate Thursday. This looks so great! 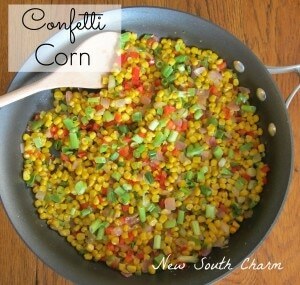 Would never have thought to do this with corn. My Grandpa used to add milk to canned corn, he said it made it taste fresher. This recipe reminded me of that. Looks great, going to try! Don’t you just love old family recipes? I hope you like the recipe as much as we do. Thanks for stopping by! This sounds so good. It doesn’t get any better than corn in the summer. Sounds like a winner, a perfect side dish to all those summer meals. I love this recipe! I grew up with canned creamed corn but just can’t stomach it anymore. 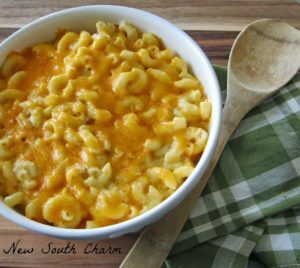 This recipe keeps the integrity and flavor of the corn! Perfect for Thanksgiving too! Oh gosh where did that come from. I just made this and it’s amazing ????. I used a can of whole corn, drained, since it’s what I had. I also added in green onion and bacon bits when I added the milk mixture. Will definitely make it again! Made this last night and it was a big hit! It was delicious and so easy to make. A definite keeper. Instead of milk I used fat free half and half – amazing! Even the picky granddaughter liked it. Thanks for the recipe! Thank you! It is sooooo good!!! !